Green-fingered but short on space? There are lots of gardening hacks to try. From short potted herbs to tall runner beans, ocadolife magazine reveals some easy solutions. UPDATE: April Fools! Unfortunately science hasn’t granted us the ability to grow Bonsai Broccoli just yet – but don’t you agree it would be a fun idea? We always love hearing from our customers: especially when they give us great ideas. Danni Miyagi from East London discovered a new craze for growing potted broccoli in Japan. After trying it for herself, she kindly sent us a picture of her successful attempt. 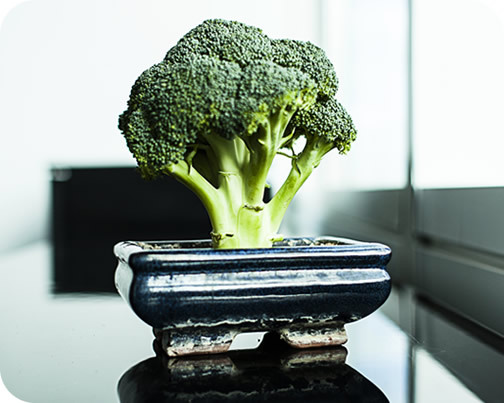 Why not up your gardening game and grow a Bonsai Broccoli tree for your kitchen countertop?